Washing your hands after using the bathroom might be a common practice to stop the spread of germs, but not many women may wash their hands after they put them in their purse. But, according to a study conducted by the company Initial Washroom Hygiene, perhaps they should. Researchers with the hygiene and washroom services company swabbed handbags to find the dirtiest parts. Twenty percent of handbags swabbed had levels of bacteria-related contamination which could potentially cross-contaminate other surfaces -- and contained more germs than the average toilet flush, CBS New York reported. While Dr. Sorana Segal-Maurer, an infectious disease specialist with New York Hospital-Queens, said to CBS New York this week that it's highly unlikely someone would get sick from their handbag, people should still take precautions to stop the spread of germs. The items inside the purse didn't fair well either. Swabs revealed that face or hand cream were most-bacteria ridden items, followed by lipstick and mascara. 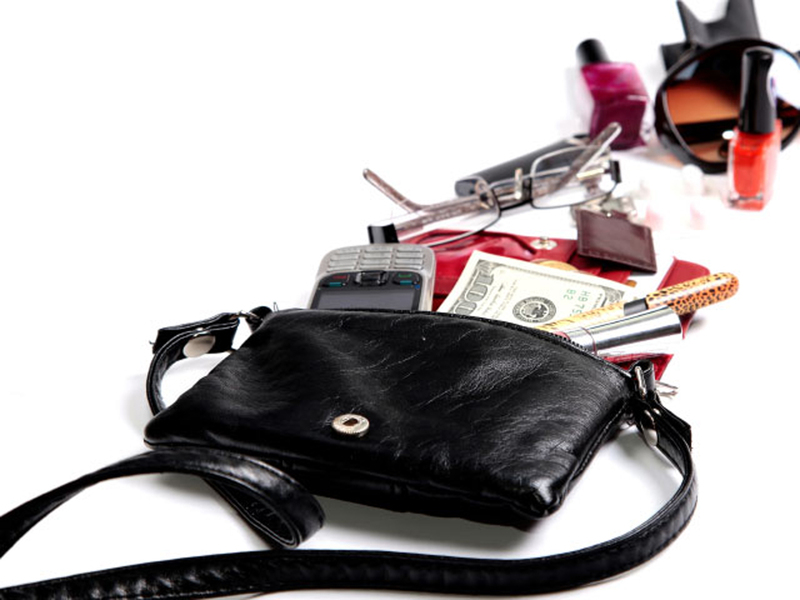 One item that may have spread bacteria to the purse is none other than the cell phone. "We don't want to put it down. It goes into the bathroom with some people -- not a good idea," Segal-Maurer said. "You really need to wipe it down." Leather handbags were the most likely to contain the most bacteria, because the spongy material is a perfect breeding ground, according to the study..
"Handbags come into regular contact with our hands and a variety of surfaces, so the risk of transferring different germs onto them is very high, especially as bags are rarely cleaned," Peter Barratt, technical Manager at Initial Hygiene, said in a press release. Once these germs are on the bags, they can easily be transferred via hands onto other surfaces. Regular hand sanitisation is essential to prevent the presence of bacteria in the first place and thorough cleaning of bags is recommended to prevent the build up of contamination." Segal-Maurer suggested never putting your handbag on the bathroom floor and using anti-bacterial wipes to clean the bottom of the bag and handles. Also, never carry fruit in your purse. "Number one, you're probably not going to wash your hands before you go reaching for it, and number two, it's floating around next to all the other stuff in your bag and then you want to put it in your mouth -- it's not a good idea," Segal-Maurer said.